The San Pedro Roman Catholic Primary School (SPRC) was the recipient of Blue Water Grill’s (BWG) second monthly donation. The donation was in the form of a check of $2,428BZ that will be used to replace the rotten floor in a classroom and fix broken windows at the main school building. 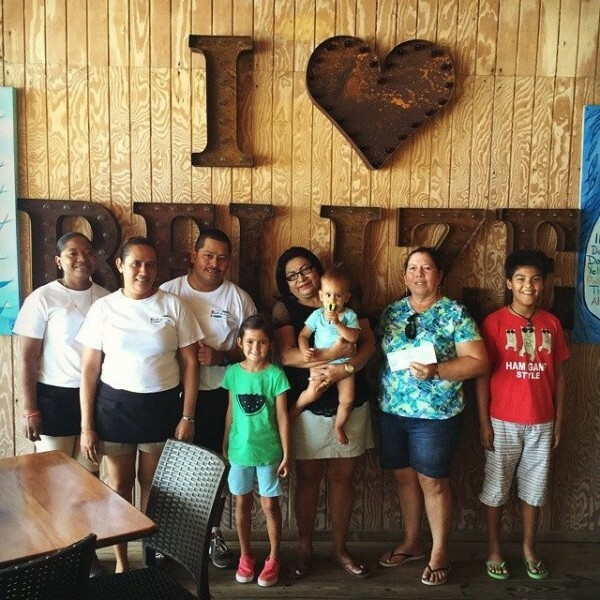 The money was raised during the month of March as part of BWG’s monthly donation program, where patrons donate money for charities across the island. The total amount donated throughout the month is then matched by BWG. In March, BWG customers donated $1,214 which was matched 100%. The check was presented on Wednesday, April 1st to Teacher Rosela Guerrero. The school is very appreciative of the donation, as it will help to improve the children’s learning environment. Funds raised in April will go towards buying a much needed new swing set for Central Park. BWG would like to thank all their customers for their generous donation.